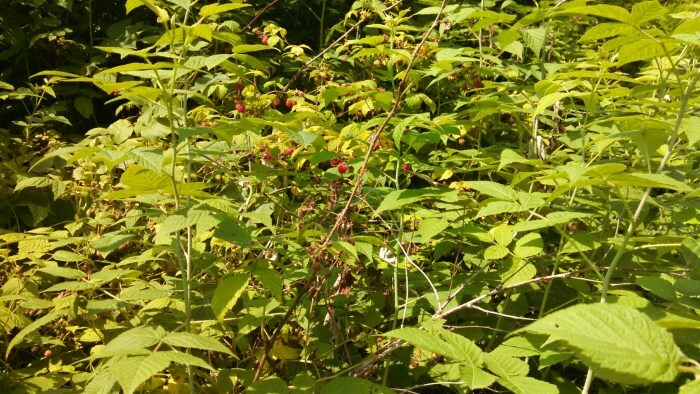 This is one of my favorite recent posts … Harold does an amazing job of drawing parallels between raspberry picking and all of life. Definitely worth reading and reflecting on its meaning in all of our lives. The other day, I was out picking raspberries. While out there in the hot sun, I had a lot of time to think about how picking them is a lot like life and yep – even running. Now bear with me, I know this is not what I usually write about, but I had waaaayyyy too much time on my time while picking berries and it caused my thoughts to wander off – at least half a bubble and probably addled things a little :-). So what did I think about? You have to be in the right place at the right time, too early and the berries will not be ready and too late they will be all gone or not worth picking. This entry was posted in Uncategorized by txa1265. Bookmark the permalink.